True Blue’s employees are carefully selected for their high level of skill and industry knowledge as well as their friendly attitude. All work is done by trained professionals. Subcontractors are only used when necessary such as electrical contractors, which offers clients the reassurance that the job is done correctly, using trade licensed professionals. We have built a strong business in Lexington and you can be assured that we will be here when you need us. 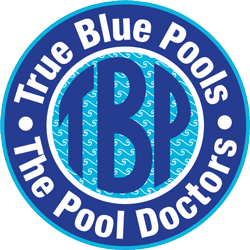 Year after year, True Blue Pools will provide you with service, answers to your questions, and top quality work for your future needs. We appreciate the opportunity to work with you, and hope that we can add you to our growing list of satisfied customers. Don’t feel like driving? We will bring the chemicals to you! Call in your order and we will deliver!